We start Tuesday, May 15 at 6 pm, Newark Reservoir. Meet in the lower parking lot. You don’t need to be a club member to participate, but, we hope you’ll join after you meet all of us! Welcome! Did you ever want to try running, but didn’t know where to start? Did you ever wish you had a training partner that would show up for you every week and help keep you motivated while also coaching you to better health and fitness? Are you looking for a healthy way to make new friends and keep active? Then lace up your shoes and join us for a fun, social way to get healthy and into great shape as our team of experienced runners help you get off the couch and running or walking a 5k! 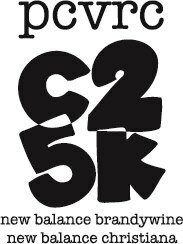 PCVRC and Progressive Fitness Coaching are offering a training program this Spring (10-week program in the Fall) that makes it easier than ever to prepare you to run or walk a 5k event. 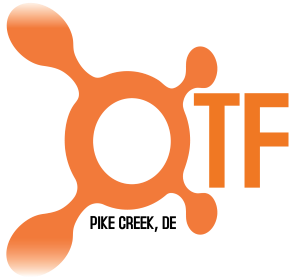 We are ready to coach you to fitness, gradually allowing you to individually determine when you are ready to move on to the next level and with a zero intimidation factor. No experience necessary! Experienced runners from the PCVRC and PFC will be on hand to get you started at each weekly workout and answer any questions. We’ll even join you on your weekly runs to help you keep pace if you desire. If your goal is to run your first 5k, join us on Tuesday nights, at the Newark Reservoir (Old Papermill Rd near Timothy’s Restaurant) at 6:00pm. Meet us in parking lot at entrance to the walking trail. We will go up to the reservoir together. Sessions are 1 x per week, but other PCVRC meet-ups are available to help keep you motivated! Join us any time; we can always accommodate new participants! So lace up your shoes and come and join us! 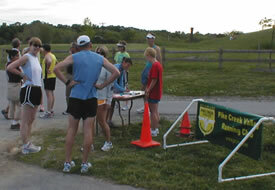 If you would like more information about Pike Creek Valley Running Club, see membership details here.